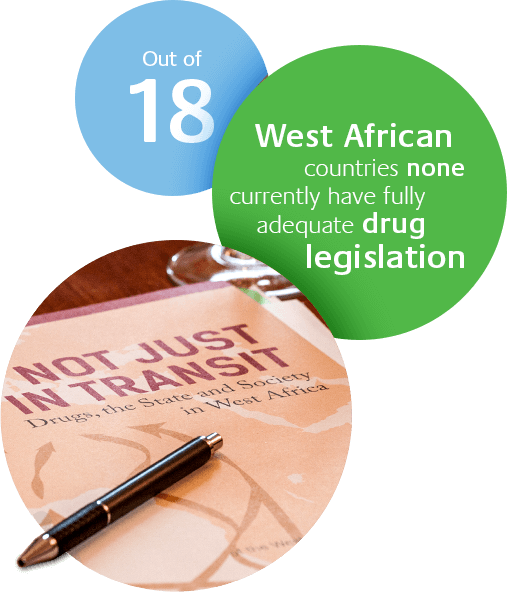 To inform the design and implementation of more humane and effective evidence-based drug policies and laws across West Africa, the Foundation commissioned the International Drug Policy Consortium to map and analyse existing drug laws. On behalf of the Foundation, the Global Commission on Drug Policy organised an expert workshop on a model drug law for West Africa. Through the Global Commission on Drug Policy, we will propose a tailor-made Model Drug Law for West African states, equipping policy makers with a template to better address the threats of drug trafficking and consumption.